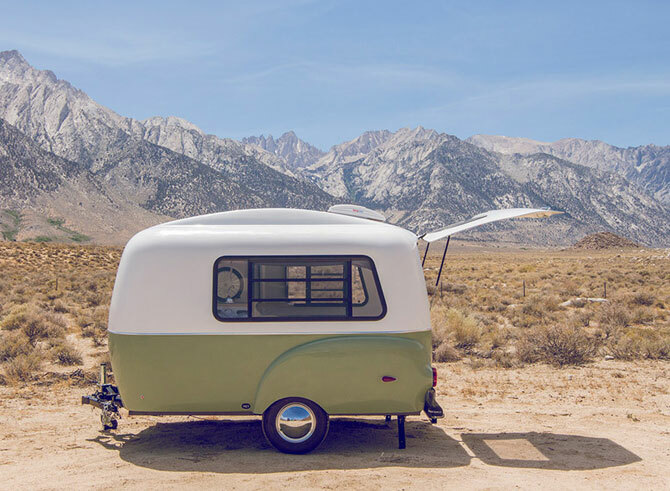 Inspired by the past, the Happier Camper miniature caravan is perfect for holidaying in the 21st century. 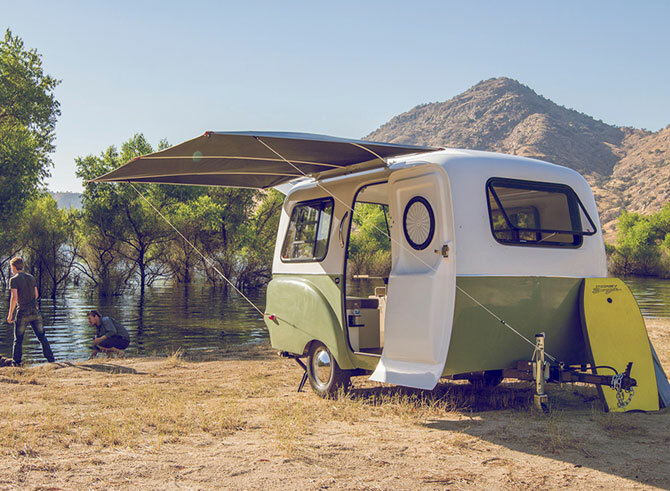 Not just inspired by the past, this trailer is inspired by the classic VW van and certainly offers an equally stylish alternative to holidaying in one of those. 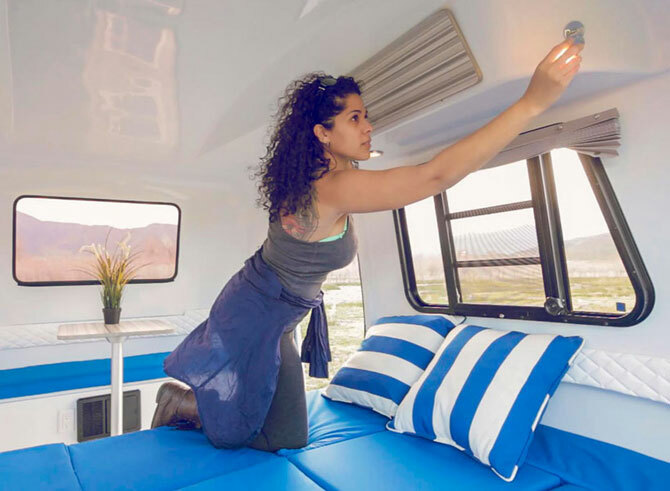 Of course, this isn’t just a pretty face, the Happier Camper is lightweight, and able to be towed by most 4×4 vehicles and offers an ‘adaptiv’ interior that’s essentially a grid system, enabling owners to swap around beds, counters, sinks, seats and more to to adapt to your needs. So more bed space if you need it, office space if you need more of that, perhaps just extra storage if you need somewhere for bikes. It’s down to you. 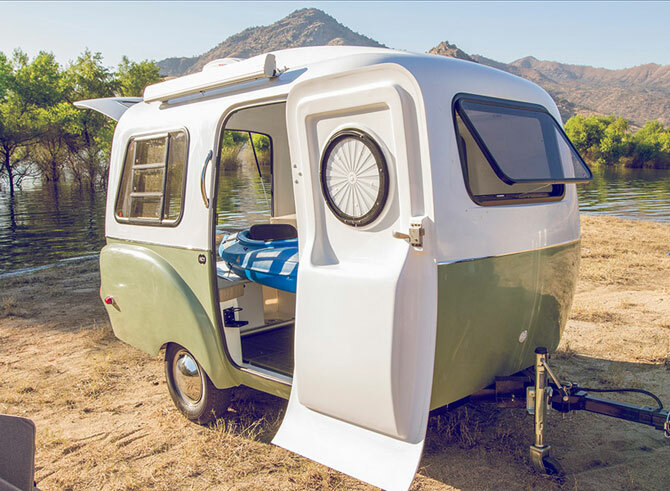 Also present is a rear hatch, side entry door, three large windows, a solar panel, bose sound system, USB and mains power sockets, a docking system for your tablet, a heated short and a built-in awning. 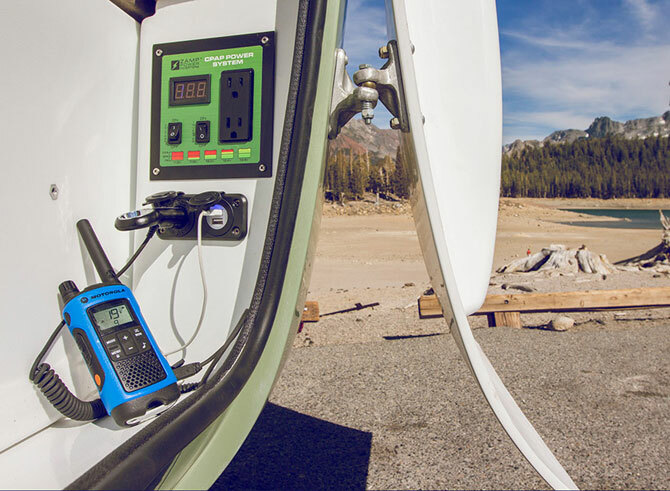 In other words, everything you need for a weekend away. Perhaps longer. Of course, what you go for is likely to dictate the price. 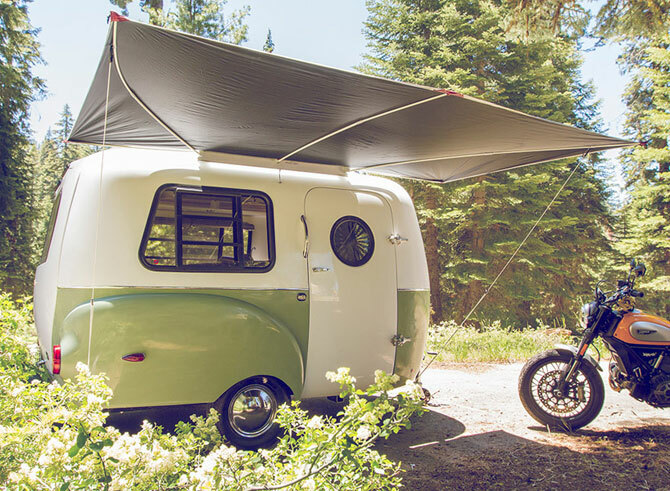 For details of that, more images and videos and to find out how to get one, do check out the Happier Camper website.